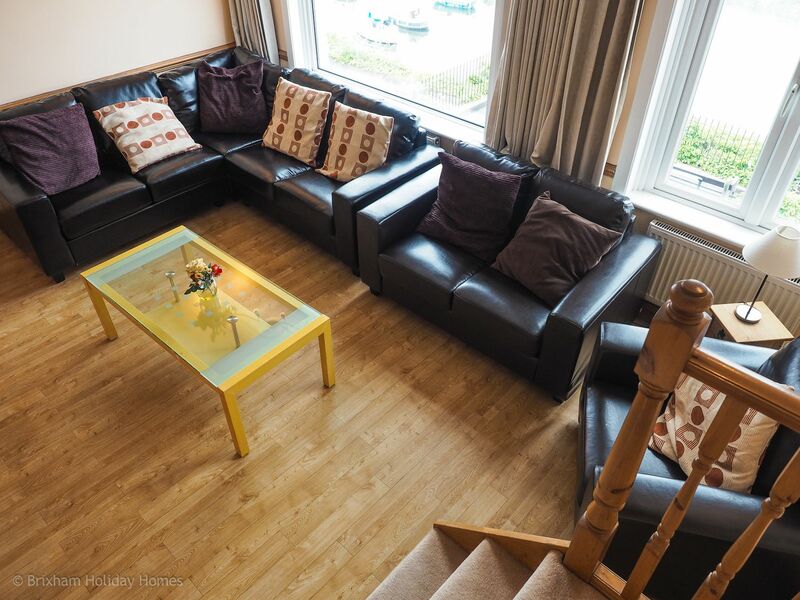 A very large & spacious cottage in a PRIME location, right on the harbourside with fantastic sea views from every floor. 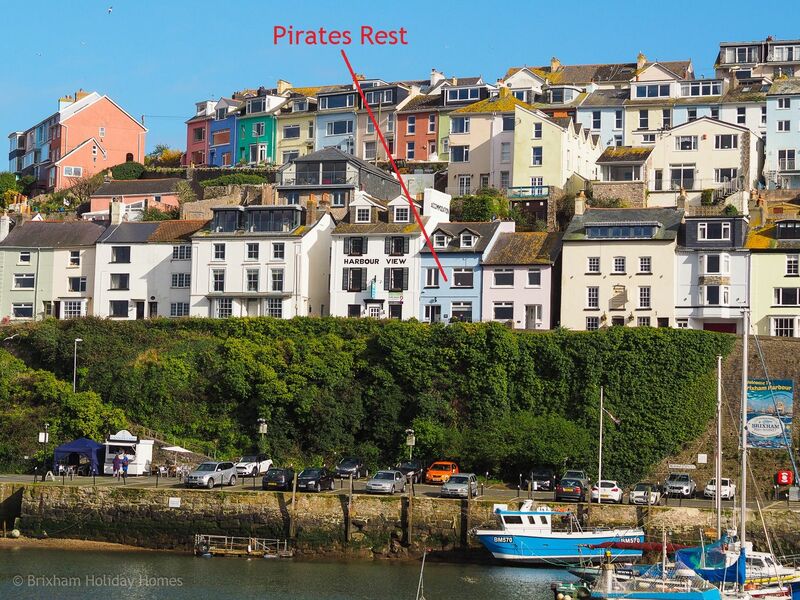 Pirates Rest (formally Charlotte Cottage) is a very large three bedroom cottage perched directly on Brixham's pretty inner harbour. 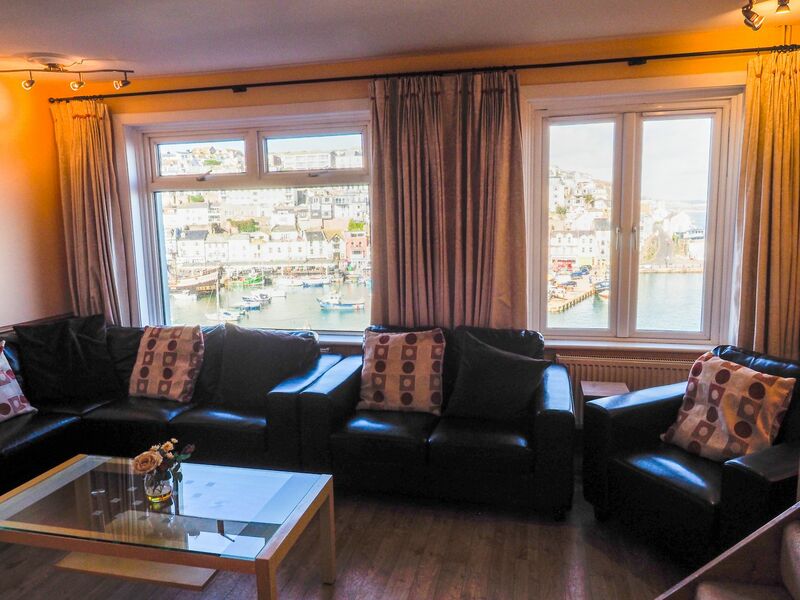 Enjoy uninterrupted views of the harbour, the fishing port and across the bay to Torquay from all floors of this charming house. 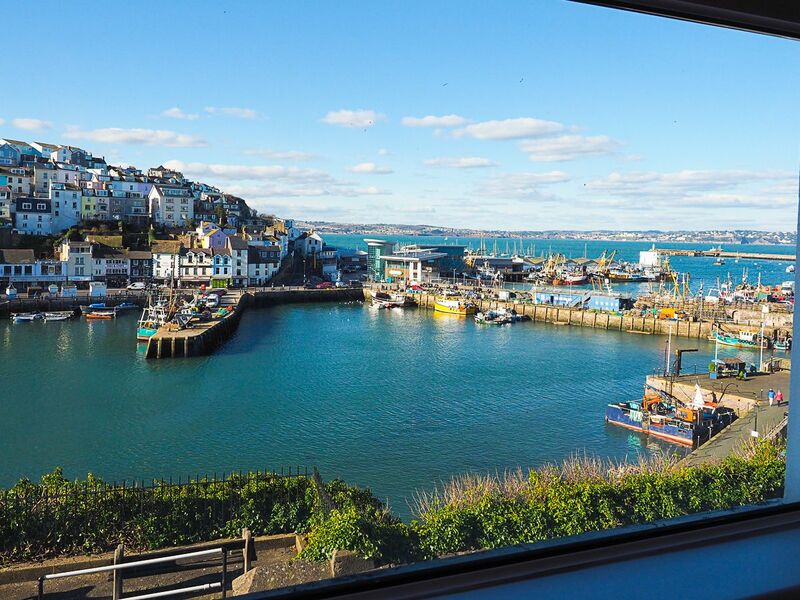 The property includes two designated parking spaces on the harbour front below and is within a couple of hundred yards of the local shops, restaurants and attractions. 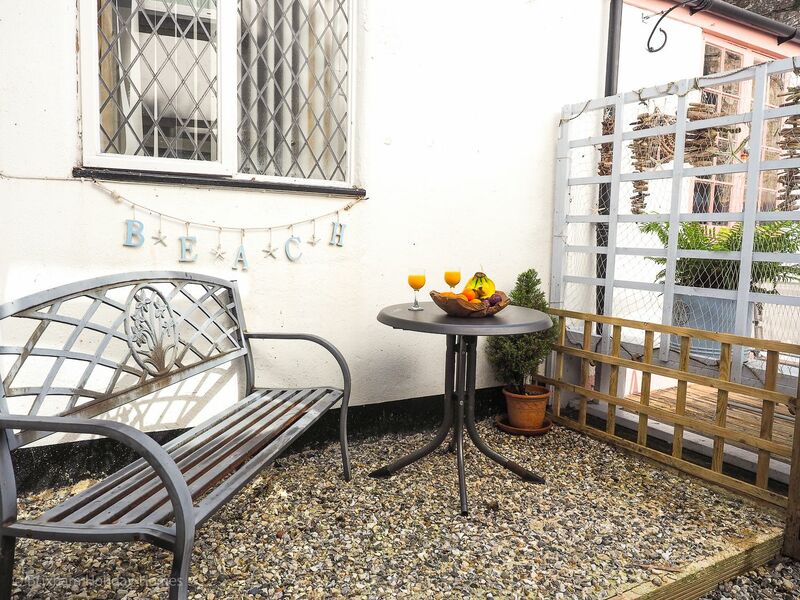 There is a sunny rear decked patio area with table & chairs - ideal for an alfresco lunch. 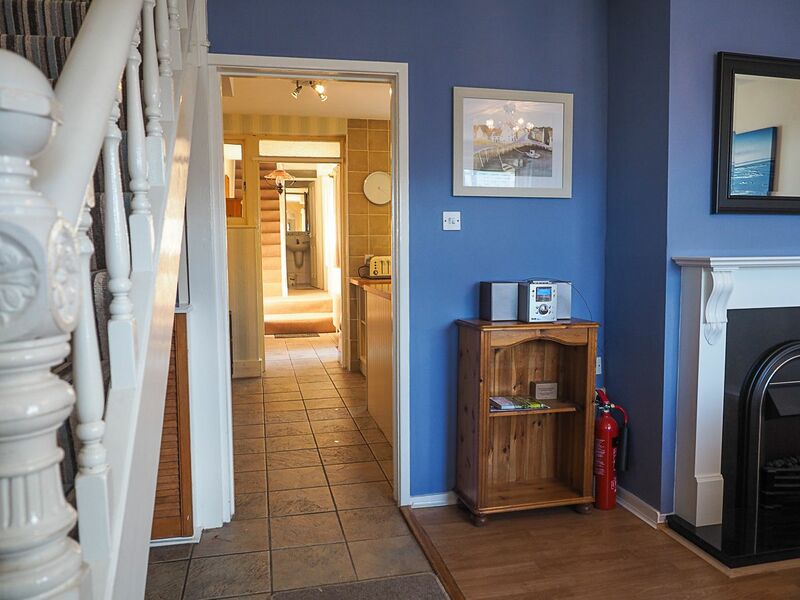 The ground floor includes the dining room with superb harbour views, large kitchen with washing machine & dishwasher, fridge & freezer, twin bedroom with bunk beds and a shower room with w/c. 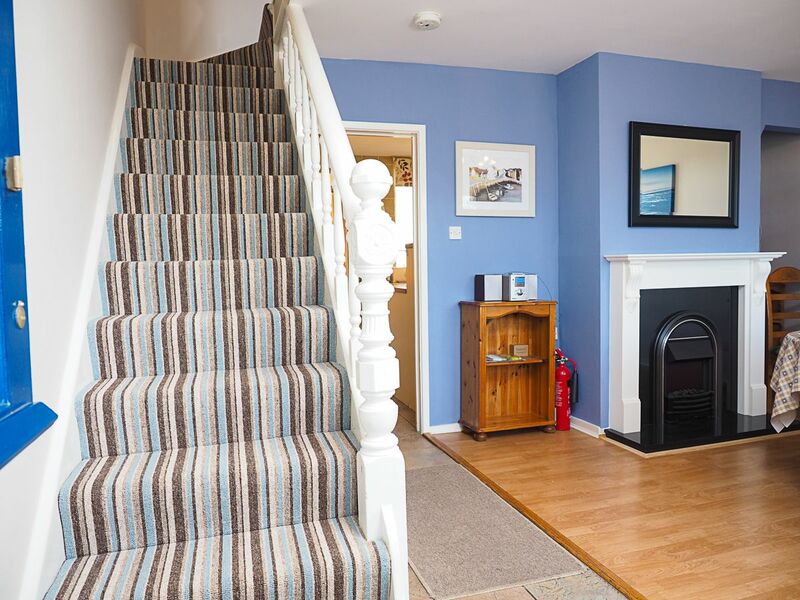 Stairs lead to a King size bedroom with TV. 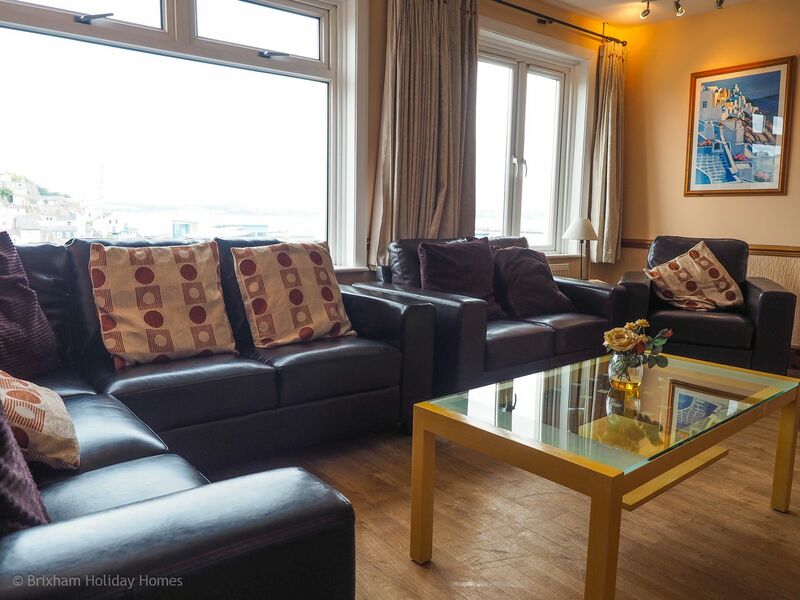 The second floor has a large lounge/living area with panoramic harbour & sea views, luxury leather corner seating for 9, Flat screen TV with Freeview, a large family bathroom with bath & shower, and a dressing room. 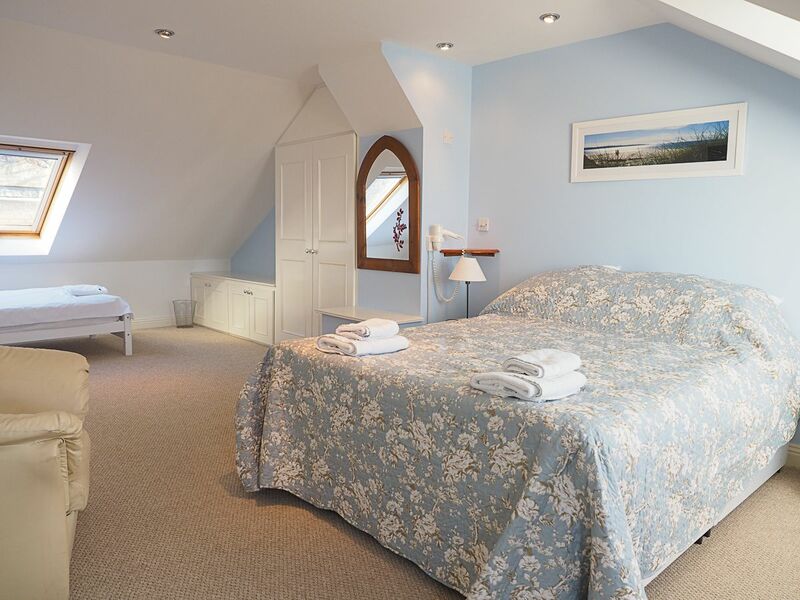 The master bedroom spans the entire 2nd (top) floor, with stunning harbour views, king-size bed and 2 additional single beds, en-suite with w/c and wash basin. 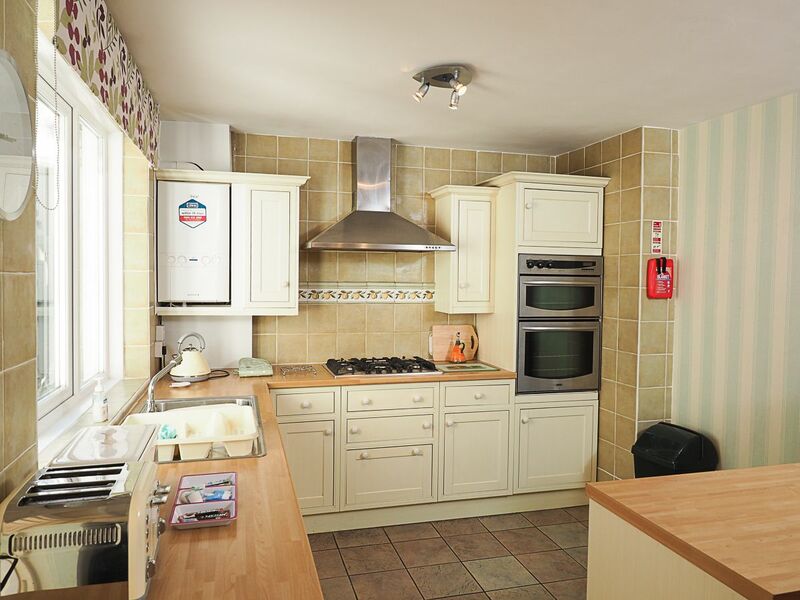 With 8 beds, this property is ideal for 2 families or a large group of friends. A well behaved dog can be accommodated by arrangement. Oblong dining table to seat eight. 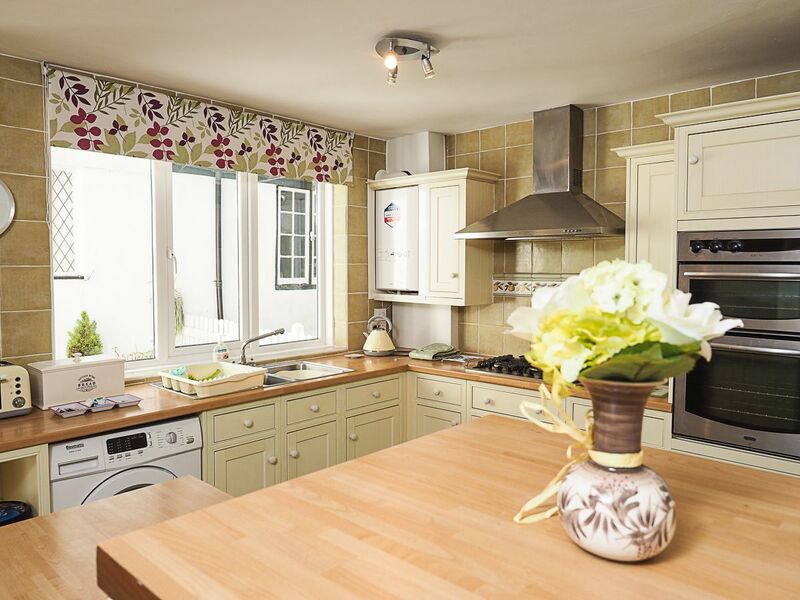 Extensive range of pots, pans, equipment, utensils, crockery, cutlery & glassware etc. Pleasant sunny decked patio area with table & chairs. Chest of draws and wardrobe. 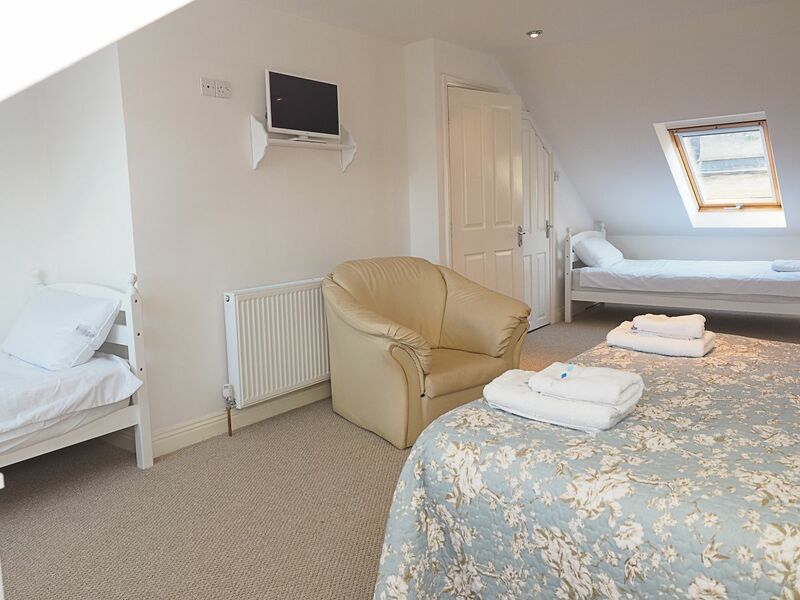 King-size bed and two additional single beds. 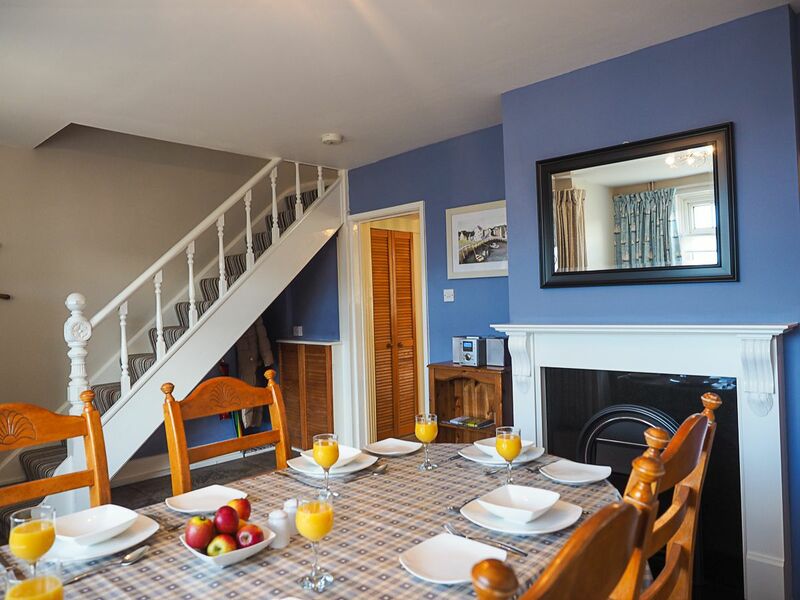 Pirates Rest is a lovely spacious house. Perfect if 2 families want to share but not be on top of each other. 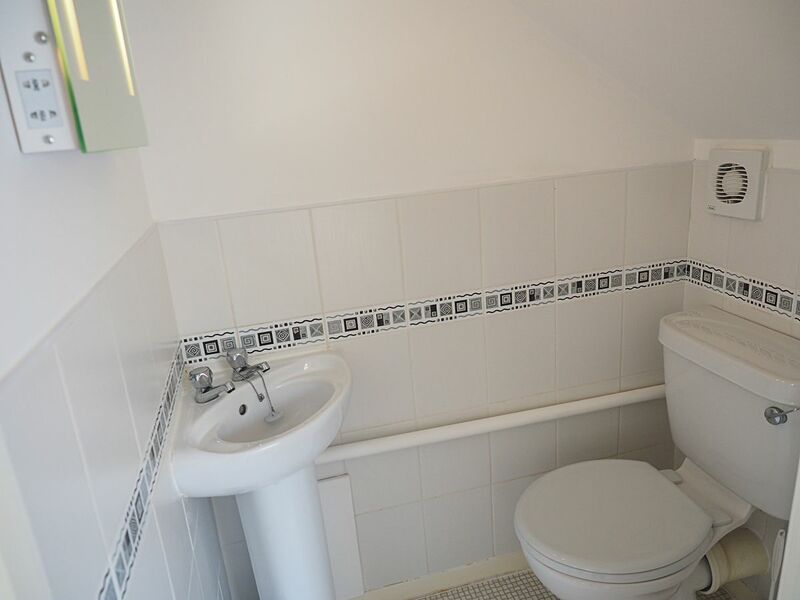 It is perfect for the centre, without being in the hustle and bustle and also has 2 parking spaces which is a godsend in Brixham if you need it! The only very, very small thing I would say is that it could do with updating a little. But apart from that it is a lovely place to stay!! Spacious comfortable house with great views. 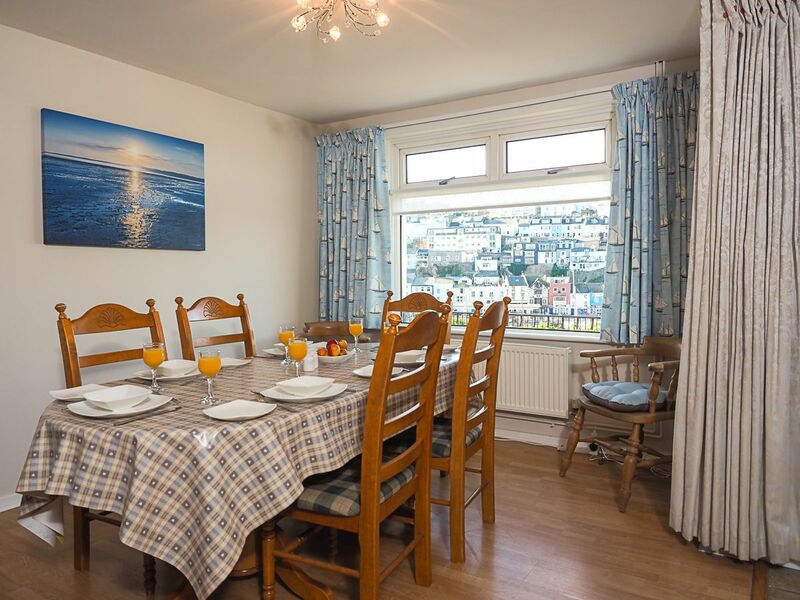 Spacious, comfortable and well equipped house in great location with terrific views over Brixham harbour. 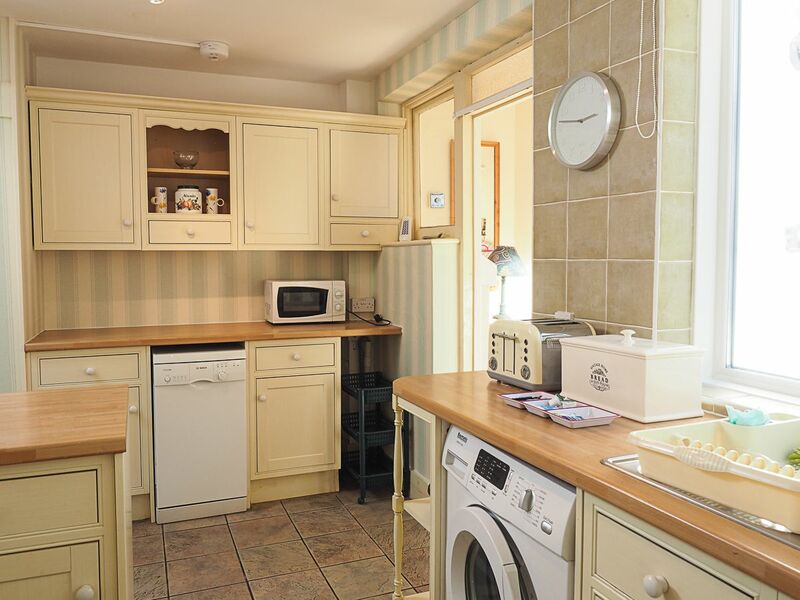 Easy walking distance of shops and amenities and 2 allocated parking spaces. 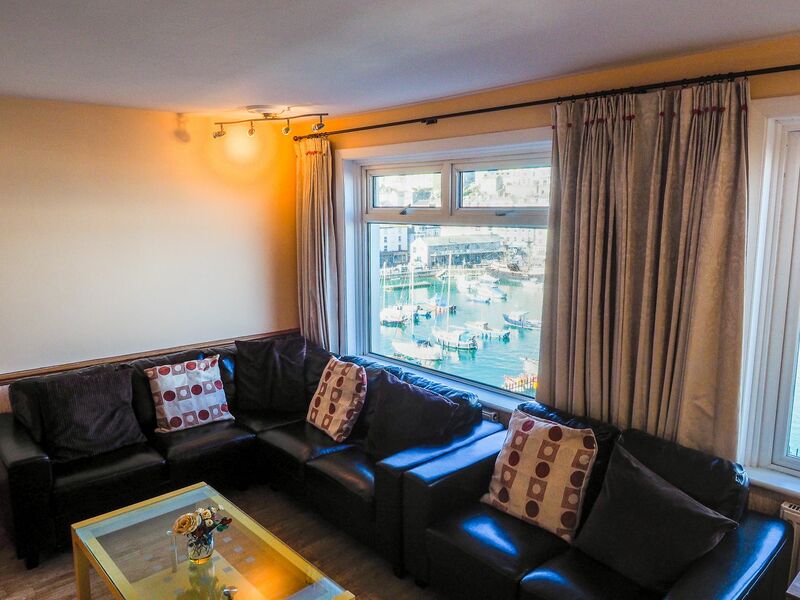 Simply stunning location with amazing views of the harbour. Essential parking spaces for two cars just down 50 or so steps? Property is massive! Spread over 3 floors. Comfy lounge with stunning views. 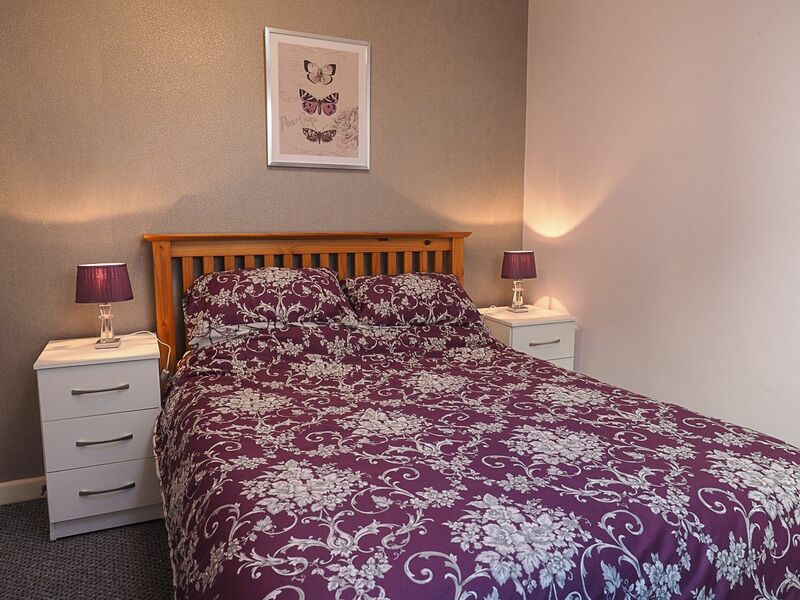 Main bedroom large with 1 double and 2 singles. 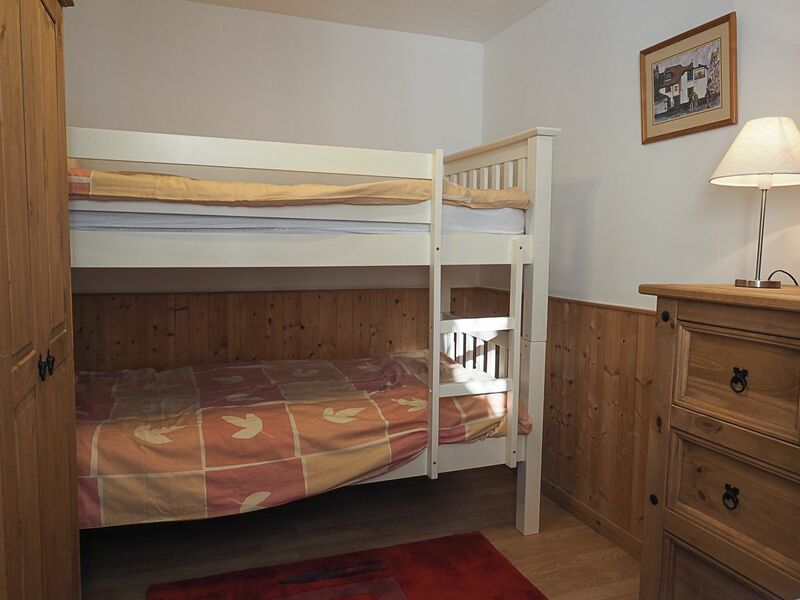 This bedroom is a long way away from the other two bedrooms so would not be ideal if you have very young children. We had lovely weather but even though front of house very warm, rear was cool/chilly. Did not need/use heating so this may balance the house out. 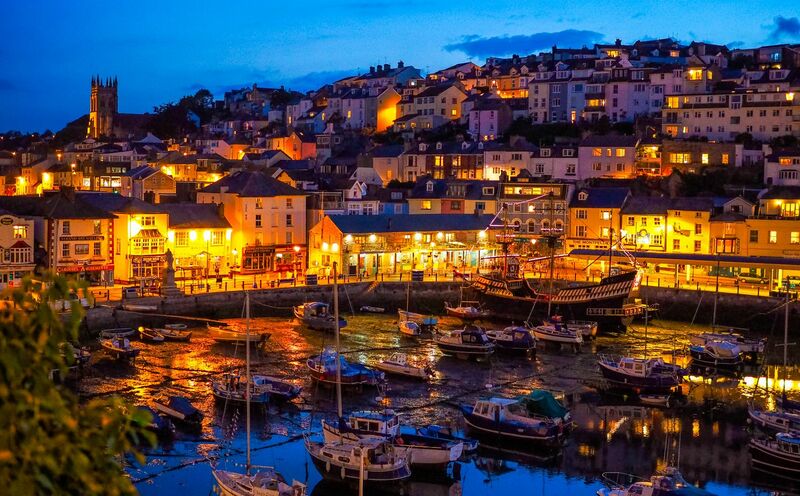 We loved Brixham and did not use the car once. Short walk to Coop or Tesco. Regular boats to Paignton and Torquay are cheap and fun. Lovely carvery from local pub (Prince William) (cheaper of a Sunday). 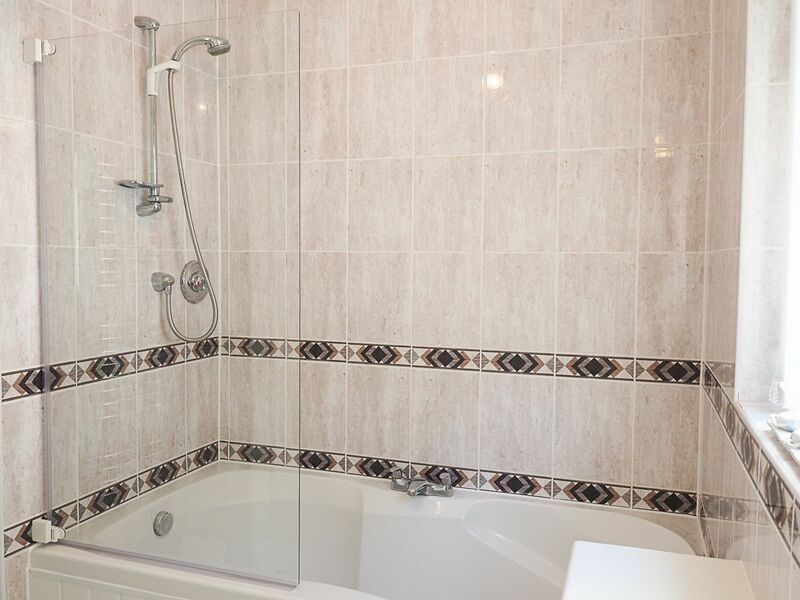 Biggest bath we have ever seen/used! 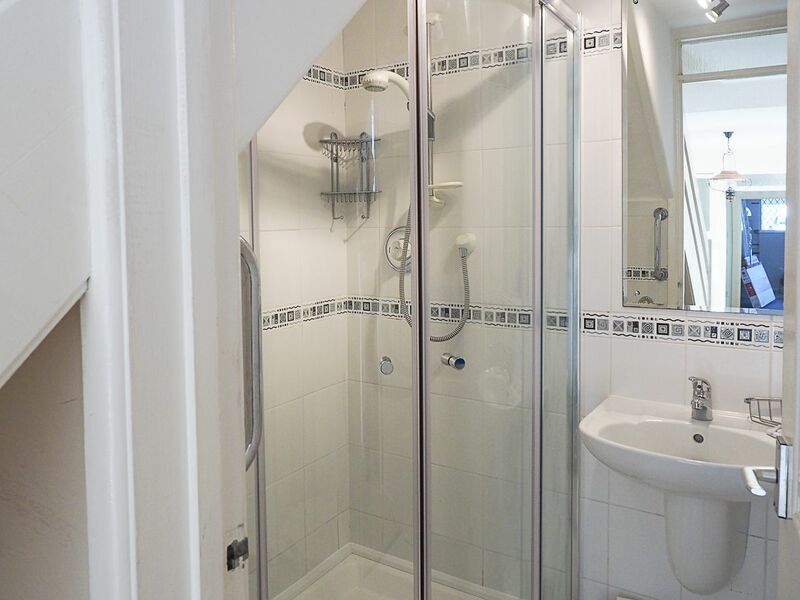 Both showers really powerful too. 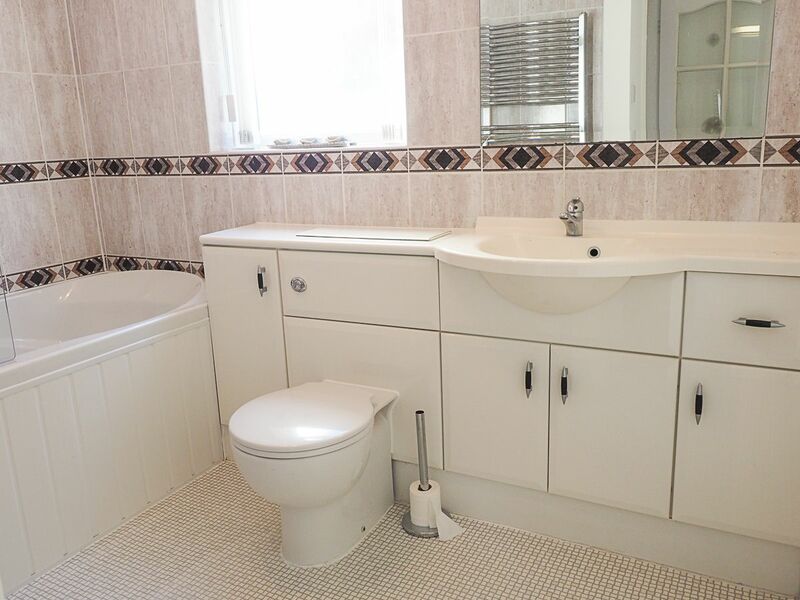 Unlimited hot water via combi boiler. Nice to have towels provided. Agent is right next door and resolved our query very quickly. 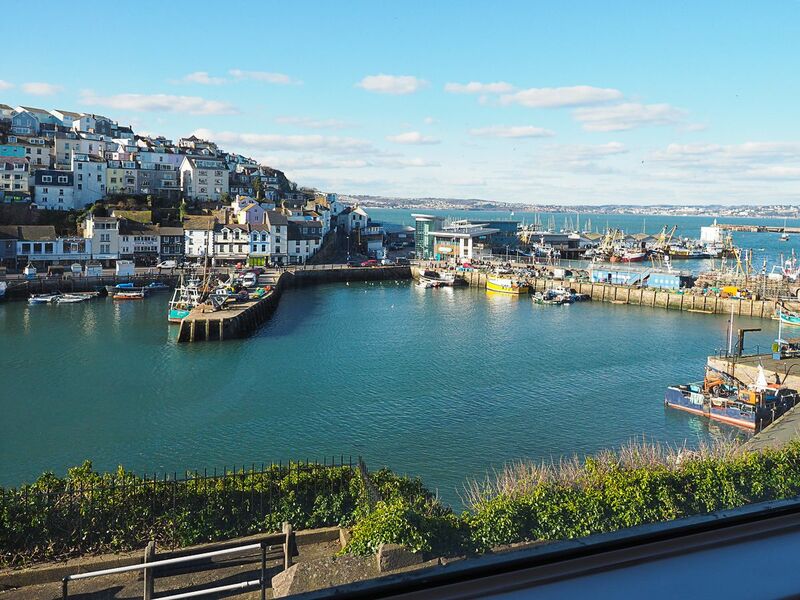 We highly recommend this property and Brixham. Family of 4 with two teens. 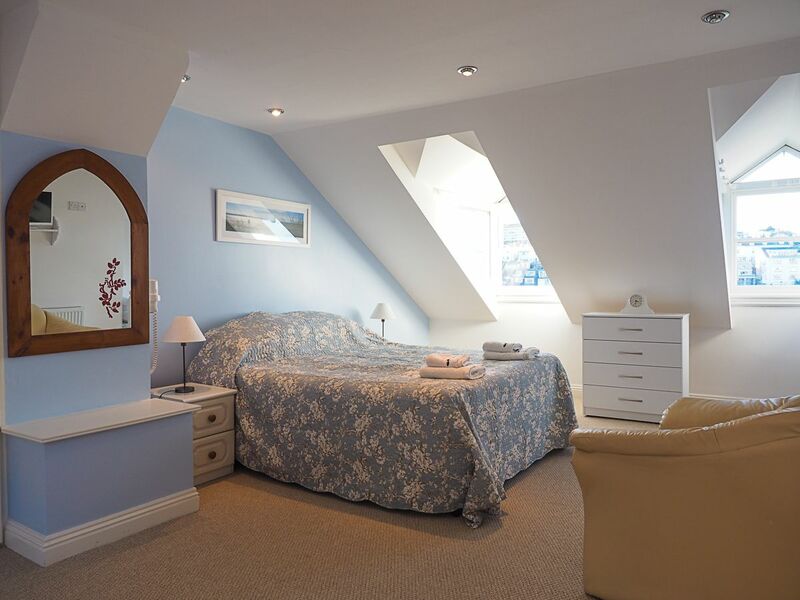 Located on King Street overlooking Brixham's inner harbour. 2 minute walk to shops.